On Thursday, August 10, the Toledo Zoo & Aquarium hosted the Ohio Chamber of Commerce as the second stop on our 2017 All For Ohio Tour. The Toledo Zoological Society has been a member of the Ohio Chamber since 2012. Located in the city of Toledo, Ohio, the Toledo Zoo began in 1900 with the donation of a single woodchuck. Ownership transferred from the city to the Toledo Zoological Society in 1982 and the development of this wildlife facility has continued to expand ever since. As a part of a current 10-year construction plan that started in 2016, new features can be seen all over the zoo. As a part of this visit, the Ohio Chamber was able to tour and experience some of these new developm ents. 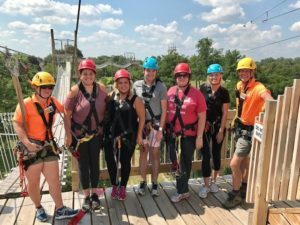 A recent addition to the Toledo Zoo as of last year is the Aerial Adventure Course located among the Africa! exhibit and was the kick start to the Ohio Chamber’s visit. 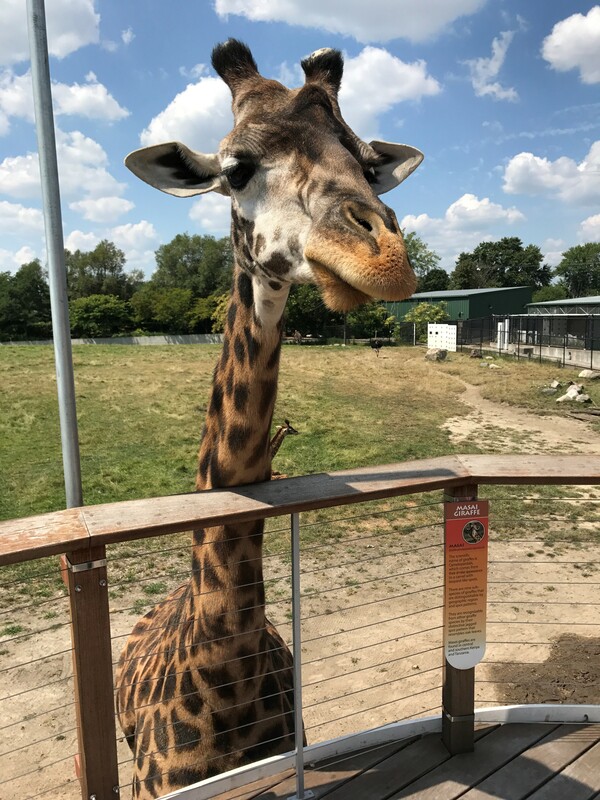 Complete with a challenge course, zipline and 80ft jump called the Flight Line, this new development helps Toledo stand out among the top zoos in the country. A guided tour of the grounds afterwards also revealed several other points of progress at the zoo. The newly renovated aquarium maintains the historical outside structure, while a full renovation took place inside with several updates and additions. Other new exhibits in the 10-year plan include new displays for the tigers and hippos as well as creating more interactive exhibits that will allow visitors to engage more with wildlife. In an attempt to stay increasingly relevant throughout the year, the Toledo Zoo is also introducing a new fall lights event this year called Luminous Nights. This event includes animal-themed lanterns from 15-50 feet tall on display throughout the zoo from Sept. 29 – Oct. 29, before the Christmas lights begin. Among the continued facelifts taking place, the Toledo Zoo thrives in their sustainability practices and conservation efforts, winning the 2017 Wildlife Diversity Conservation Award by the Ohio Department of Natural Resources Division of Wildlife. The zoo serves as a role model through their ecologically sound and energy efficient green practices, one of these be ing roughly 28,500 solar panels that provide approximately 30% of the Toledo Zoo’s yearly electricity usage. Their energy needs and plans served as an important point in the policy discussion held between Ohio Chamber and Toledo Zoo staff. 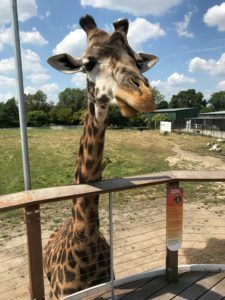 In a discussion with Shayla Moriarty, Director of Communications at Toledo Zoo & Aquarium, it is clear how important fundraising and state funding has been and will continue to be to these new developments and overall expansion of the zoo. As home to over 9,000 animals that represent over 800 species, the Toledo Zoo strives to create a continually educational and fun experience for over a million visitors per year. The Toledo Zoo was the second stop on the All For Ohio Tour. During this tour series, the Ohio Chamber will visit a variety of companies across the state of Ohio in order to facilitate critical conversations between business leaders, members and legislators. If your company is interested in being a stop on our All For Ohio Tour, please contact Kathy Eshelman keshelman@ohiochamber.com.